With the opening of the first outlet at 313 Somerset in February 2015, Chir Chir Fusion Chicken Factory continues to open another 2 outlets at Bedok Point and Chinatown Point within the same year in May and December. The restaurant is fast to build on their success with the introduction of several new additions to the menu. New on the beverage menu is the Mojito Double Smoothie ($12.90). The ice blended mango puree is topped with lime slushes, freshly whipped cream and rainbow sprinkles. 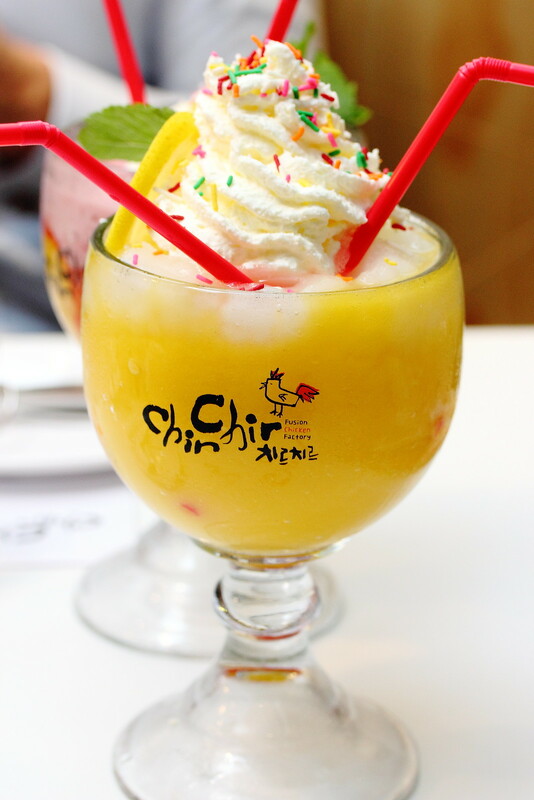 It is a very refreshing drink that is perfect for the humid Singapore's weather as well as for the fried and spicy food at Chir Chir. There are also the Raspberry Double Smoothie and Aqua Double Smoothie. The honey butter potato chip craze that swept through South Korea has been brought to the table at Chir Chir with a spin off in the Honey Butter Chicken ($28.90). Not the prettiest plating but the delicious pile consists of boneless fried chicken, Korean rice cakes, potato wedges, dried cranberries, sliced almonds, honey butter sauce, honey butter seasoning. Besides the chunky chicken which is crispy and succulent, I enjoyed the Korean rice cake which has a thin layer of crispiness on top of the chewy texture. 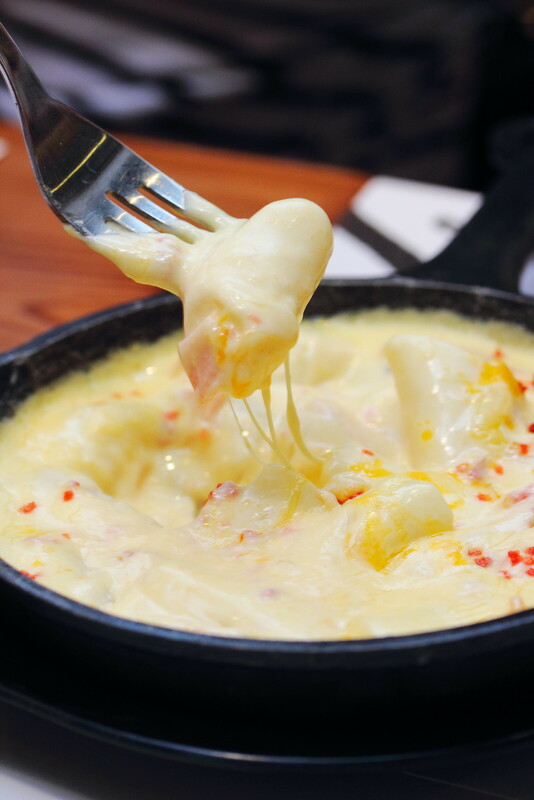 A twist from the Mac & Cheese is the Topokki & Cheese ($9.90) that comes Korean rice cake, creamy cheese sauce, chicken ham, bacon bites. Substituting the macaroni with Korean rice cake gives the dish more bite but it is not my kind of thing as I am not a big fan of topokki. I would also prefer the cheese to be richer and more intense in flavour. Chir Chir is not just about chicken. It does have other items such as the Spicy Seafood Soup ($26.90). 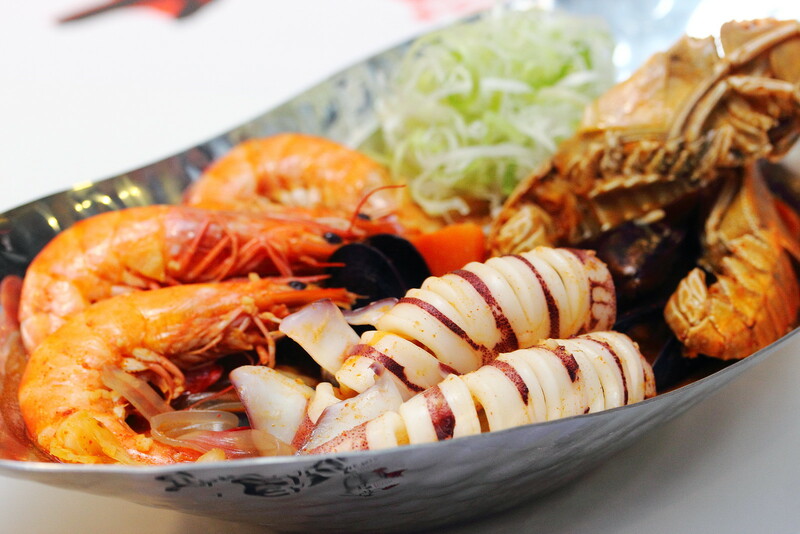 The spicy clam base broth comes with fresh seafood such as squid, crayfish, prawns and mussels. Glass noodles are also added completing the whole enjoyment. Be warned if you have a low tolerance of spicy food. The Spicy Topokki ($15.90) with Breaded Chicken (add $5) is really fiery. It will left you with a tongue burning sensation throughout the meal. 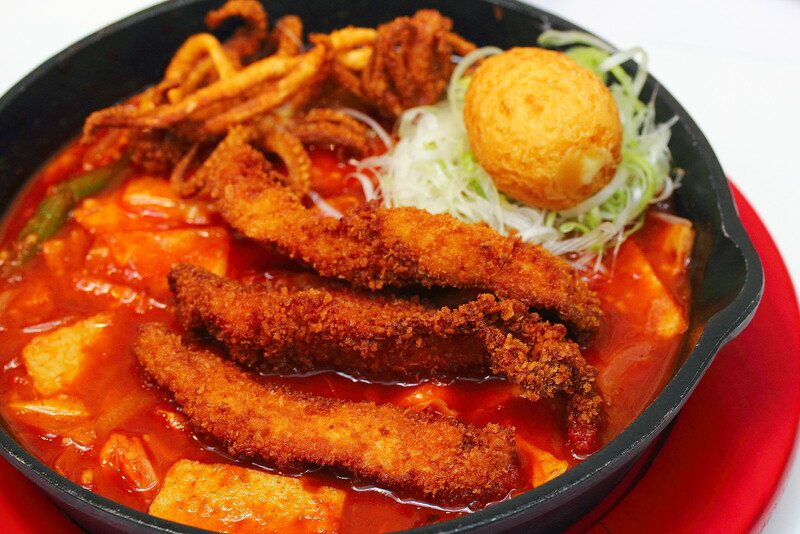 The pot comes with Korean rice cakes, Cajun battered squid, deep fried hard boileg egg and sweet potato cubes in spicy gochujang (red pepper paste) sauce. I would recommend dunking the breaded chicken into the spicy gochujang sauce to soak up the spiciness, for a sweat breaking enjoyment. My favourite for the dinner has to be Rosemary Chicken ($29.90). It is a good change from all the various fried items. 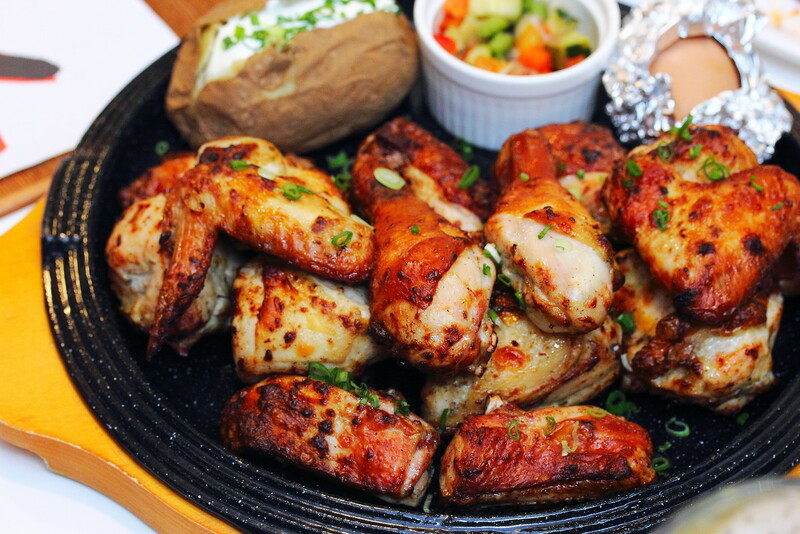 Marinated for 12 hours, the whole chicken chopped into huge pieces and roasted to golden brown. 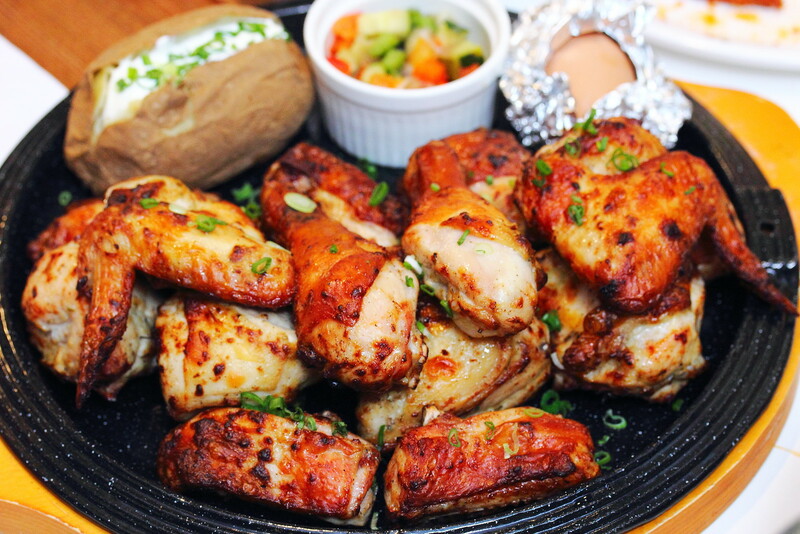 The tender and juicy roasted chicken is accompanied by a salsa dip, salt baked egg and baked potato with sour cream. 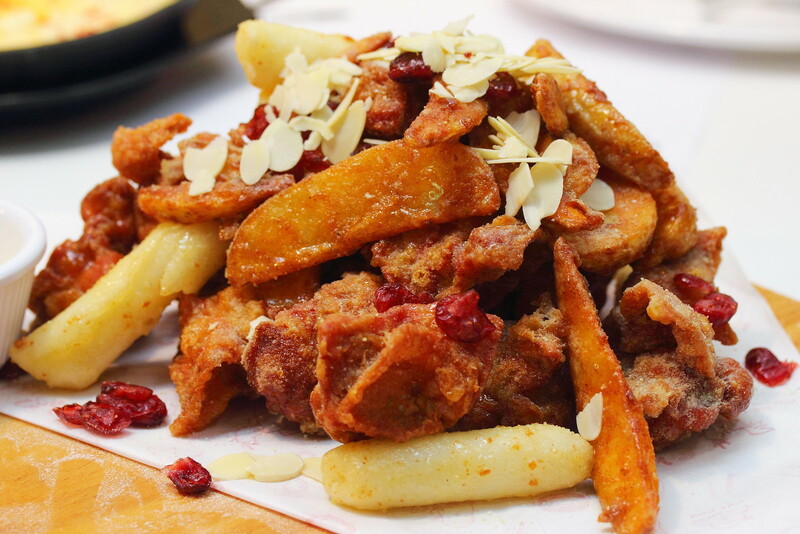 For supper seeker, you will be please to know that Chir Chir at Chinatown Point is opened until 3am daily.